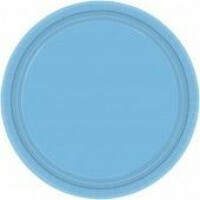 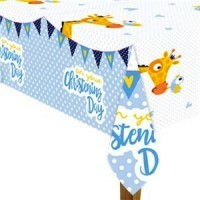 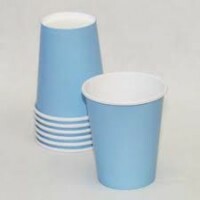 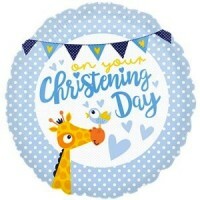 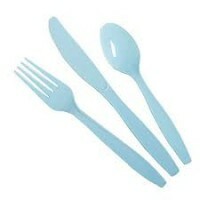 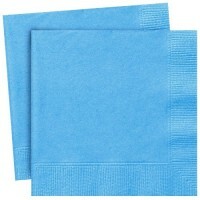 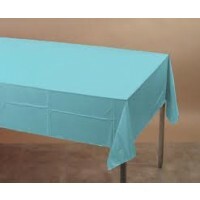 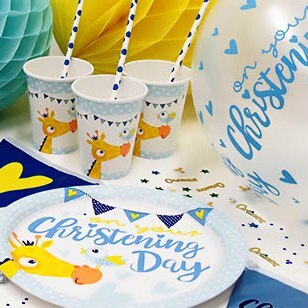 Christening Day Blue is a stylish range with delicate blues and yellows. 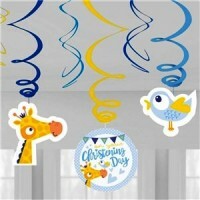 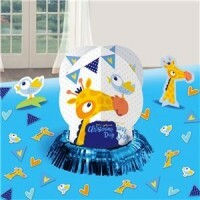 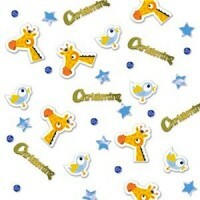 The theme is decorated with a delightful yellow giraffe with a little bird on the tip of nose. 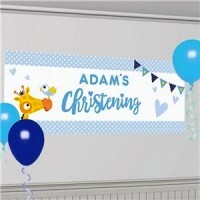 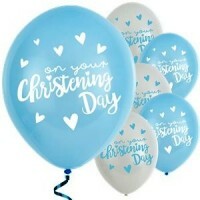 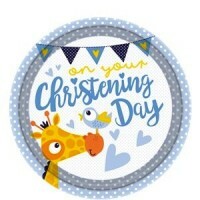 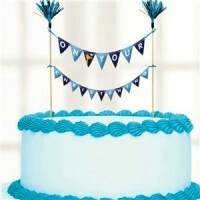 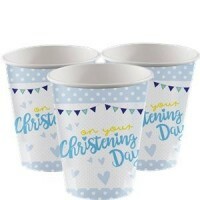 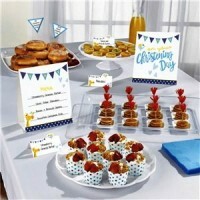 This range has everything you could possibly need to decorate for a little boy's Christening celebration.